Interested in the archaeology and Biblical history of Jordan? Other than Israel, no country has as many Biblical sites and associations as Jordan. Download Exploring Jordan: The Other Biblical Land and start receiving Bible History Daily — both absolutely free! 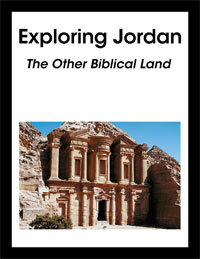 In the free eBook Exploring Jordan: The Other Biblical Land, delve into a legendary land rich with Biblical history. Welcome to Jordan, the other Biblical land! Other than Israel, no country has as many Biblical sites and associations as Jordan: Mount Nebo, from where Moses gazed at the Promised Land he could not enter; Bethany beyond the Jordan, where John baptized Jesus; Lot’s Cave, where Lot and his daughters sought refuge after the destruction of Sodom and Gomorrah; Madaba, home of a stunning mosaic map of the Holy Land; the lands of the ancient kingdoms of Ammon, Moab and Edom, and many more. We’ve put together this free eBook on ancient Jordan to introduce readers to this ancient Biblical land. Each article is written by an expert who is able to act as a virtual tour guide sharing the depth of their experience and knowledge. 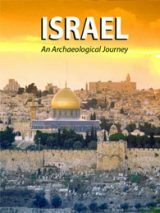 This vicarious journey brings to vibrant life the Biblical world in the “other” Holy Land and acquaints us with Jordan’s magnificent sites and legendary stories. Longtime archaeology journalist Rami Khouri takes us to a site on the east bank of the Jordan River and about 7 miles north of the Dead Sea that is believed to have been “Bethany beyond the Jordan,” where the New Testament says Jesus was baptized by John the Baptist. 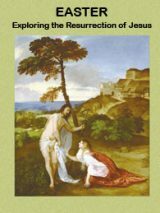 Khouri recounts the New Testament description of Jesus’ baptism and then examines ancient maps and the writings of ancient travelers to explain why the site is indeed the ancient Bethany beyond the Jordan. He then walks us through the site, describing the remains of an impressive Byzantine-era monastery featuring at least four churches, one of which is built around a cave that ancient pilgrims called “the cave of John the Baptist.” Most intriguingly, the site contains the remains of stone vessels of the type known from first-century A.D. Jewish sites and which are likely the kind used at the wedding at Cana, where Jesus is said to have turned water into wine. Next we visit “Rabbath of the Ammonites” with Timothy P. Harrison. Today the area is known as the Citadel and overlooks modern Amman, but during the Biblical period the site was the capital of one of ancient Israel’s great enemies, the Ammonites. 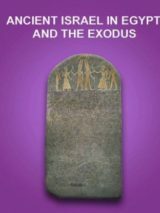 Harrison traces the history of this ancient city and at the same time reviews the Biblical-era animosities between Israel and Ammon that often brought the two kingdoms into armed conflict. Rounding out this survey is a sidebar by Harrison on the history of excavations at Rabbath Ammon and another by epigrapher (a specialist in writing) P. Kyle McCarter that describes the numerous examples of Ammonite inscriptions that have survived into modern times. Our immersion in the history of Amman continues with “Philadelphia of the Decapolis,” by Alastair Northedge, who examines the city’s history in the period just before, during and after the New Testament era. Northedge guides us through the new areas to which the city expanded in the third century B.C. and describes it during the early Roman period, when it was part of the Decapolis, a league of ten cities mentioned in the New Testament. Northedge then brings to life the many glorious structures built here during the Roman period and during the era of Muslim rule. We then “travel” further south to explore the kingdom of Moab, east of the Dead Sea. In “Moab Comes to Life,” P. M. Michèle Daviau and Paul-Eugène Dion introduce us to another important kingdom with which ancient Israel interacted during the Biblical period. Daviau and Dion describe the gods of ancient Moab and then recount the excavation of the first Moabite temple ever discovered by archaeologists. The temple was found complete with gates, altars and an industrial area. Our introduction to Moab is rounded out with a sidebar discussing the enigmatic Moabite god Kemosh. We conclude this virtual tour with a history of Jordan’s most stunning site, and one of the most spectacular places on earth: Petra. Joseph J. Basile describes “When People Lived at Petra,” the site in southern Jordan whose amazing rock-cut facades were made famous in the Indiana Jones movies. Basile begins in pre-historic times but quickly brings us to the second century B.C., when the Nabateans established a kingdom in the area. It was the Nabateans who carved the imposing structures for which Petra is known. Supplementing the main article on Petra are two sidebars, one on the 19th-century European rediscovery of Petra and the other on a group of burned scrolls from Petra that are being painstakingly reconstructed. This free eBook is an introduction to the rich history of Jordan. We hope it inspires you to learn more about this important Biblical land. 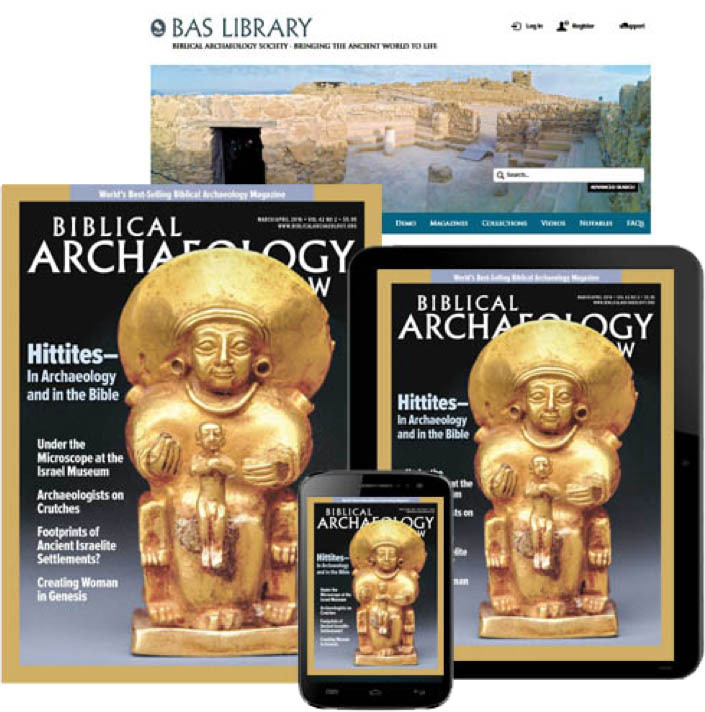 We’ll send you a link to download your copy of Exploring Jordan: The Other Biblical Land and offer you a FREE registration to the Bible History Daily newsletter, bringing the world of the Bible and archaeology directly to your inbox. Your FREE registration to Bible History Daily introduces you to community discussions on fascinating topics like the Dead Sea Scrolls, top Biblical archaeology discoveries, ancient Israel and Easter. Yes and no … Edomites are prophesied at end time in minor prophets. But some Edomites exist as fake JEWS who ruled the financial world globally and part of satan syngagogue. recall Yehshua said you are of your father satan? well, there is a view that Esau not only stole Nimrod’s garment which is the one made by Yah for Adam in Eden to symbolise reigning the world, but he made a pact with satan and thus changed himself … there is a legend that Nimrod’s wife bore a son after his death, and I have always wondered if this is connected to Esau …. well, in the book of Yasher, Esau killed Nimrod just before he ate Yacob’s pottage by trading his birthright? … ever wondered why he did that? …. why would he bother to kill nimrod? what did he want from nimrod? what did he take from nimrod? greed, power and world dominion …. why was that removed from the main bible? …. likely to hide the fact that while nimrod’s Babylon carries on, it is ESau who has carried it on, controlling the world on all fronts incl Israel, Talmud, global economy …. but people … lets pray and interecede for GOD”S will be restored and done on earth … the judgment of Babylon, Esau and their evil governance economic slavery systems on earth be shaken, judged and removed … and Yah’s children to rule and reign with double recompense ushering finished work of Yehshua HaMaseach and his return to victorious spot free church …..amen … halleluYah!!! why did esau carelessly sold his birthright? cause he thought he had a better deal with the killing of nimrod … not in the bible you say? well who control the religion who first published bible? …. recall we are not religion nor religious, Yehshua hated that and scolded the religious but never the sinner … Yehshua came not to restore religion but rather to restore our identity as sons (aka daughters) made in His image and relationship with the Father …. food for thought?